Note: SIF_Message schemas define every data object element as optional per SIF's Publish/Subscribe and SIF Request/Response Models; DataModel schemas maintain the cardinality of all data object elements. This document is also available in these non-normative formats: ZIP archive, PDF (for printing as a single file), Excel spreadsheet. Copyright ©2016 Systems Interoperability Framework (SIF™) Association. All Rights Reserved. 2. The SIF Data Model Implementation Specification which is an XML-based data model that models entities in the learning environment as SIF Data Objects to be shared between applications; This document only describes the SIF Data Model for Australia. an abstract, platform-independent definition of the API between one software application and another or a broker. A SIF Environment is a distributed system that consists of one or more software applications with a SIF Adapter (a SIF-enabled application) sharing/reporting one or more SIF data objects over a network; it may also involve middleware (a message broker). A SIF Implementation consists of one or more SIF Environments deployed and configured to meet customer data sharing and reporting needs.. The SIF Implementation Specification defines architecture requirements and communication protocols for software components and the interfaces between them; it makes no assumption of specific hardware or software products needed to develop SIF-enabled applications and/or middleware implementations, other than their ability to support technologies leveraged as the foundation for SIF, most prominently XML and HTTP(S) and including JSON and REST. 1.1.1.1 What is SIF (AU)? 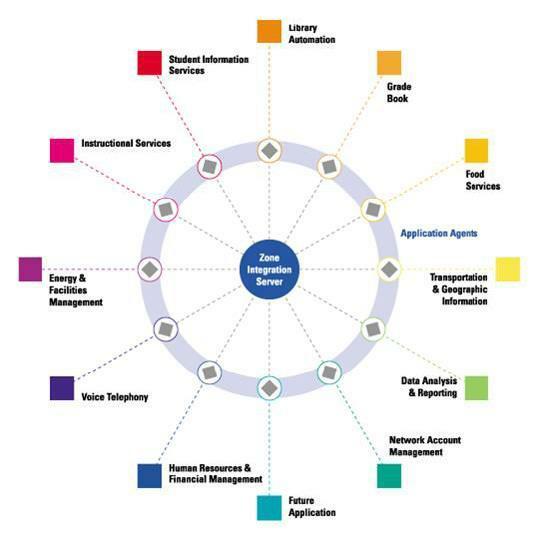 SIF Implementation Specification (Australia) defines a set of data objects supporting the Australia's interoperability requirements for the education sector and combines this data model with established infrastructure protocols from the SIF Implementation Specification [SIF]. SIF Implementation Specification (Australia) 3.4 leverages the SIF architecture and refers to SIF Infrastructure Specifications greater than 3.0.1 [SIF 3.x] to support its data objects, with an Australia-specific namespace and the data objects defined in this specification. Technical readers should note that the version number internal to SIF XML messages identifies the version number of the SIF Data Model. Leverage co-marketing opportunities with partners and distributors. The information, software, products, and services included in the SIF Implementation Specification may include inaccuracies or typographical errors. Changes are periodically added to the information herein. The SIF Association may make improvements and/or changes in this document at any time without notification. Information contained in this document should not be relied upon for personal, medical, legal, or financial decisions. Appropriate professionals should be consulted for advice tailored to specific situations. THE SIF ASSOCIATION, ITS PARTICIPANT(S), AND THIRD PARTY CONTENT PROVIDERS MAKE NO REPRESENTATIONS ABOUT THE SUITABILITY, RELIABILITY, TIMELINESS, AND ACCURACY OF THE INFORMATION, SOFTWARE, PRODUCTS, SERVICES, AND RELATED GRAPHICS CONTAINED IN THIS DOCUMENT FOR ANY PURPOSE. ALL SUCH INFORMATION, SOFTWARE, PRODUCTS, SERVICES, AND RELATED GRAPHICS ARE PROVIDED "AS IS" WITHOUT WARRANTY OF ANY KIND. THE SIF ASSOCIATION AND/OR ITS PARTICIPANT(S) HEREBY DISCLAIM ALL WARRANTIES AND CONDITIONS WITH REGARD TO THIS INFORMATION, SOFTWARE, PRODUCTS, SERVICES, AND RELATED GRAPHICS, INCLUDING ALL IMPLIED WARRANTIES AND CONDITIONS OF MERCHANTABILITY, FITNESS FOR A PARTICULAR PURPOSE, TITLE, AND NON-INFRINGEMENT. This specification is released with the following provisos to developers and educators. Though a product may be demonstrated to comply with this specification, no product may be designated as SIF Certified™ by an organization or individual until the product has been tested against and passed established compliance criteria, published separately [SIFCertification]. Organizations and individuals that are currently paying annual membership dues to the SIF Association and dedicating resources to the initiative may also use the designation SIF Participant to describe their involvement with the SIF Association and SIF in marketing, public relations and other materials. Copyright® SIF Association (2011). All Rights Reserved. This document and translations of it may be copied and furnished to others, and derivative works that comment on or otherwise explain it or assist in its implementation may be prepared, copied, published and distributed, in whole or in part, without restriction of any kind, provided that the above copyright notice and this paragraph are included on all such copies and derivative works. However, this document itself may not be modified in any way, such as by removing the copyright notice or references to the SIF Association, or its committees, except as needed for the purpose of developing SIF standards using procedures approved by the SIF Association, or as required to translate it into languages other than English. The limited permissions granted above are perpetual and will not be revoked by the SIF Association or its successors or assigns.